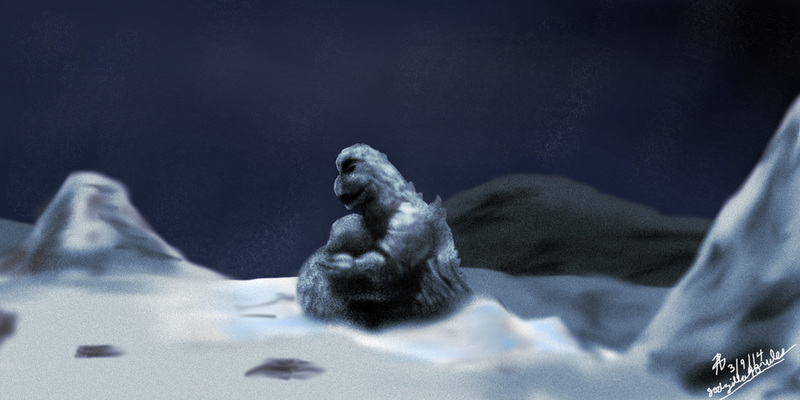 I decided to do another Godzilla painting, this time of a heart warming scene from Son of Godzilla (1967). This is my latest digital painting as of this post (3/9/14). I do like how this painting came out. If only the detail on the landscape was perfect. The Speed Video is Below.